This chapter explores the marketing communication process at all its stages, unveiling the vulnerable aspects and raising awareness about ethical issues. Advertising is a billion-worth worldwide industry, with implications at the rational and emotional level of the targeted audience. Therefore, more advertising research is needed. The authors' analysis tackles the message constructs, their impact on the audience and how ethical issues can be addressed, from self-regulation to ad banning, as well as all the necessary measures that should be taken to protect vulnerable consumers. Useful insights were provided by looking at the current research and best practices in the field. To better illustrate the authors' perspective, a set of case studies are discussed, and recommendations with a clear, practical value are drafted. 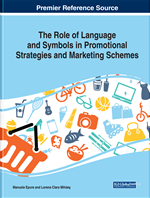 The chapter aims to explain how the integrated marketing communication process takes place and what the sensitive issues are in relation to advertising and its effects on different segments of the targeted audience. Moreover, it will explain why the current practice in marketing communication needs to be regulated for ethical reasons. Some of the powerful and persuasive messages could have harmful effects on vulnerable groups of consumers. From this perspective, the psychological effects of advertising will be analysed and a view will be provided of how marketers take advantage of those groups in a more or less ethical way. Marketing communication is important for many reasons: to let consumers know about new products and brands, to send powerful and persuasive messages that could influence their buying decision, to maintain brand awareness in the consumers’ mind, to launch new products, and so on. The content of the message could generate both a positive attitude and a negative one, depending on how it is constructed by means of language and signs. The message integrated in advertisements is meant to create emotions, to generate certain actions from the viewers’ part, yet some of today’s ads have been labelled as being effective as much as being harmful (Hyman &Tansey, 1990) for a certain group of viewers, such as the vulnerable ones (children, teens, etc.). Who is going to protect them? Concerns for the consumer’s welfare include an obligation to critically evaluate all marketing techniques that determine psychological effects (Spence & Moinpour, 1972). Therefore, marketing communication in all its forms should be scrutinised constantly to identify unethical constructs, no matter how powerful, efficient and profitable they are for companies. In addition, a basic principle of advertising practice is that promotional messages are targeted at a specific audience (Zinkhan, 2011). As such, the audience’s response to advertising messages has long been a key topic in advertising research. Consumers’ emotional reactions have been studied and more attention has been paid lately to ethical issues related to the advertising content, especially those ads dedicated to certain categories of consumers. Qualitative research methods seem to be more effective than the quantitative ones, because filling in a questionnaire does not mean that the consumers’ emotional response is necessarily captured. This chapter is equally built on an analysis of case studies regarding ethical issues and a categorisation of these issues is delivered, focusing on possible regulatory measures. To analyse a set of sensitive advertisements from an ethical point of view. Advertising Ethics: A set of principles and rules regulating the communication which takes place between sellers and buyers. Message: Provides information using language constructs and signs which the receiver’s brain selectively collect. He, then, designs a map of the reality perceived combining new entries with the existing ones. The message is part of the cognitive process and differs largely from a person to another, due to past experiences, subjectivity, expectations. Basically, each person has his own view of the reality. Buying Decision: A typical decision-making process, when consumers become aware of products/brands, search for information, compare offers, and perform a cost-benefit analysis before actually buying the desired product. Strategic Communication: The organizational communication oriented to achieve a set of objectives, needed to be addressed in an integrated manner, which creates synergies, reduces redundancies and uses various media channels to send well-coordinated messages converging to enhance company’s reputation. Integrated Marketing Communication: A planned process, which involves a coordination of all marketing communication tools and resources into a well-articulated program, especially designed to maximize the impact on consumers, modelling their behaviour and influencing their buying decision, all at a minimal cost. Communication: The use of language and signs to transmit a message by a sender organization to one or more audience target groups aiming to inform, to persuade, to convince and to help creating a certain meaning. Marketing Communication: All the promotional elements of the marketing mix, used to communicate messages to a targeted audience and to contribute to the growth of the marketing performance. The marketing communication is a mix of activities such as: to inform the consumers, to send powerful and persuasive messages, to influence consumers’ buying decision, to maintain the brand awareness and to help remembering brands, to launch new products or services. The main purpose of all marketing communications is to construct a positive attitude through language and signs. Advertising: A form of paid communication oriented to disseminate the message that promotes products/services/brands and organizations to many people at once; it helps people to identify products and to develop preferences towards brands.